B. Polomski. 2014. Month-by-month Gardening in the Carolinas (revised). Cool Springs Press, Nashville, TN. Cool Springs Press, 240 pages, paperback. This new edition of has been redesigned with an easier-to-use format, fully updated information, and additional photography. Month-by-Month Gardening in the Carolinas includes the specifics on growing annuals and perennials, bulbs, turf and ornamental grasses, edibles, roses, groundcovers, shrubs, trees, and vines throughout the year—including a section on water gardens. From planting, watering, and fertilizing to routine maintenance and problem-solving, Month-by-Month Gardening in The Carolinas educates gardeners of all skill levels on the best practices for satisfying, rewarding results. Toby Bost and B. Polomski. 2012. 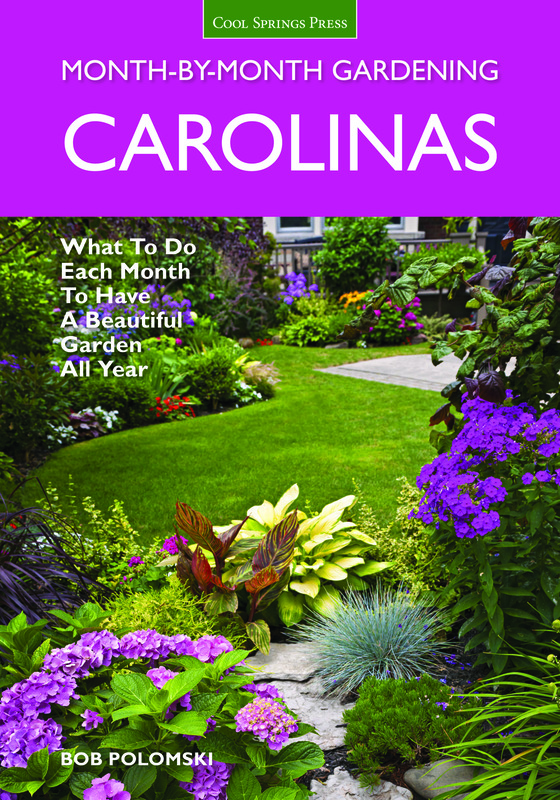 Carolina Gardener’s Resource: All you need to know to plan, plant, & maintain a Carolina garden. Cool Springs Press, Brentwood, TN. B. Polomski. 2007. Month-by-month Gardening in Alabama & Mississippi. Cool Springs Press, Brentwood, TN. B. Polomski. 2006. Month-by-month Gardening in the Carolinas (revised). Cool Springs Press, Nashville, TN. Marilyn Rogers (ed). 2005. Contributing writer, Better Homes and Gardens New Garden Book. Vines and groundcovers (Ch. 7; 38 p.) and Annuals and bulbs (Ch. 8; 39 p.). M. Rogers (ed.). Meredith Corp., Des Moines, IA.